Mobile apps are an excellent proof of how we perceive and engage with convenience. No wonder, the famous Apple line “There’s an app for everything” was taken way too seriously, and a deluge of apps was provided for every single thing that requires effort. So, you need to plan a vacation OR Do you need to get reminded of groceries that are running out of stock? Simple, visit the app store and download the app. With so many free apps ready to be downloaded, the paid apps have to offer something unique or should be able to lure their users in, if they want to be downloaded. On the other hand, developers have a stiff competition in the free app market. You not only have to differentiate, but also make sure you earn from your mobile apps. Generating revenue from a free app is not going to be easy but, you have to do it somehow. A good app will definitely earn investments to keep running the development and marketing; however, you need some kind of revenue as returns on the investment. Else, your investors are not going to be happy about their investments. So, here are a few things that could help you generate a good revenue. If your app is something that gets the user hooked on to it, then ads could be an excellent way of generating revenue. You will need to run short ads, make sure there is a way they can skip the ad in between, and finally get your revenue. The user would not leave your app if it is totally interesting and engaging otherwise. Youtube runs such ads, which not only helps generate revenues but also makes sure the user does not leave the platform. Another gaming app, Word Crossy, works with this formula. The word game is engaging, which is why the user does not really mind the ads being run, as soon as one game finishes. The idea is not to interrupt the user while they are using the app, and once the work is finished, play that ad and then allow them to move ahead. Banner ads are a great way of getting revenue. They will be part of the app, unlike the other ads, and they will earn you money too. We do not suggest native ads, even if they generate revenue. They are used to promote other apps or another product. Allow your users to download the app for free, and then charge them for a few features that you have added to the premium segment. This is another way of earning from an app. Evernote has been doing this for quite a while. They have plenty of free features that can get a regular use through with the app. However, to share the audio or other such features, you will need to upgrade the app to the premium version. Having used the app for a while, you are pretty used to it, and you know that it is the best solution for your needs. Paying slightly for a premium feature per month does not feel like a major issue. A lot of users tend to use the premium features within the apps, as and when needed, and bill it. This is definitely a profit making strategy, as you allow the user to sample the app, and then decide if they want to move ahead with the app. Everything is always perfect about a good email marketing campaign. It also helps get users to your app, and gets your app the revenue you desire. How does it work? When you ask users to sign in via Emails, you get an opportunity to connect with them. As soon as you have offers that might interest them or business proposals that might attract their attention, you can connect with them. You can keep them engaged and make sure you stay at the top of their mind, with engaging emails and an engaging campaign. What do you say to this? This may not generate immediate revenues but, it definitely gears up the interest levels. Most gaming apps tend to lure their users and make money via the in-app purchases. You will see that gaming apps not only get the children addicted, but also the adults. There are many like you and me, who have mastered the art of in-app purchases. Just when the power is low, and you know you can take the next level like a pro, in-app purchases are made. This way, the users tend to complete the levels and the app maker gets to earn some money. Choices, a recent game which has more users on-board, uses in-app purchases to get you diamonds and keys. This allows you to buy the beautiful dresses for your characters and continue playing. This app is definitely popular for the variety as well as how it deals with in-app purchases. They are subtle and nice. This is the last that we are going to discuss about how to generate revenues. Netflix has a subscription model that it uses to keep the users on-board and generate revenues. The first month is free and for every month after that, you need to pay based on the model you choose. 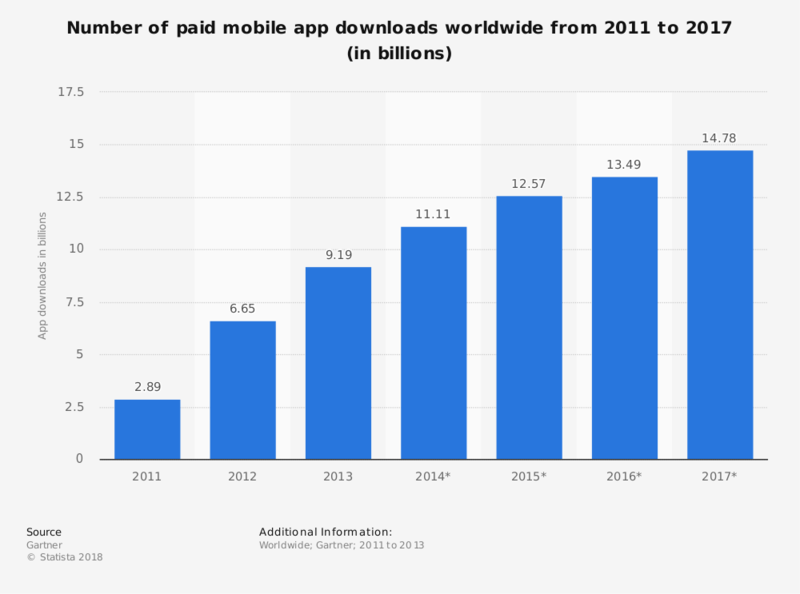 There are a lot of apps that generate revenue this way, and you can also use this method. The subscription method allows the user to pay for what they are using, and gives them a choice and you the revenue. Think, this will work for you? If you can sell merchandises on your mobile app, then you can generate a good revenue from the app you have created. This is the best possible technique to generate profits if you are an e-commerce business. Merch, a self-service program allows businesses to sell custom and branded t-shirts using their app. This is another way to generate revenue. You can develop services that allow businesses to collaborate and sell with you or, you could be the platform. Whatever model you choose, it is important to market your idea before you plan on monetizing from it. The moment you decide to go on the floor with your idea, start working on the app monetization as well as app marketing strategies. Coruscate works on giving you end-to-end solutions for the app idea you have. We give you a ball park quote for the idea based on our feature list and your requirements. Come to us with your queries and ideas, and we can discuss them while sipping on a cup of coffee. What say?